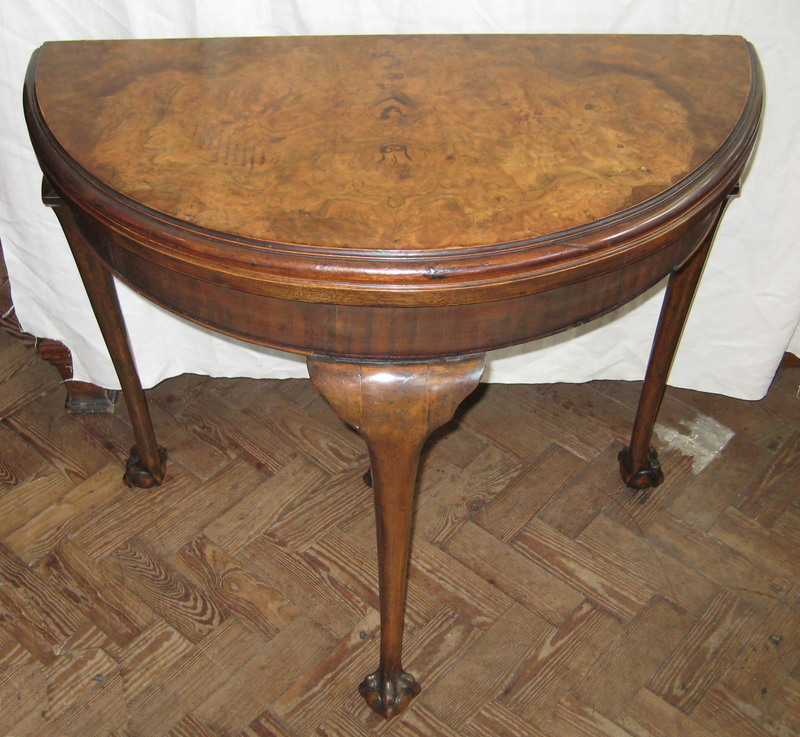 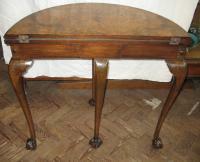 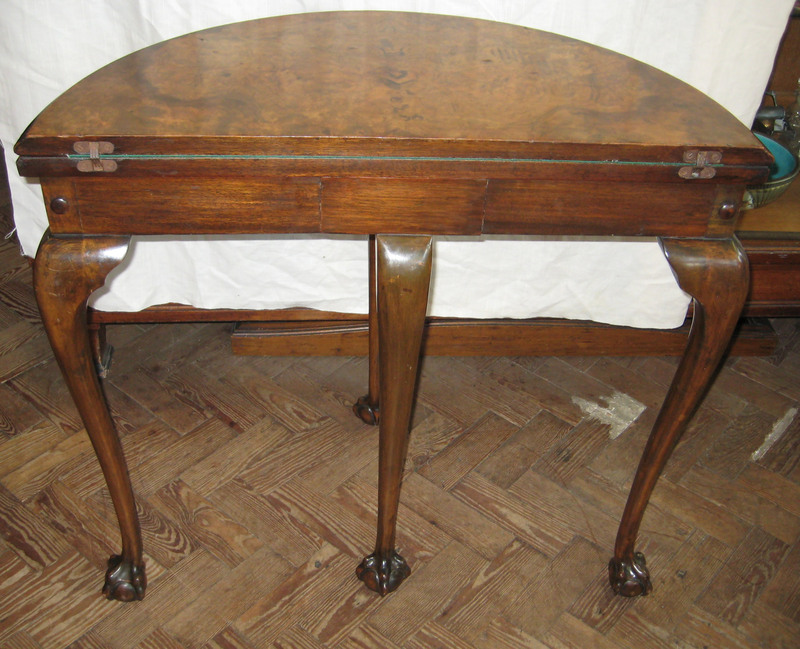 A Victorian half moon shaped burr walnut fold-over card table C1900. 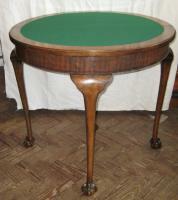 The back leg pulls out and the top flips over to make the round card table. 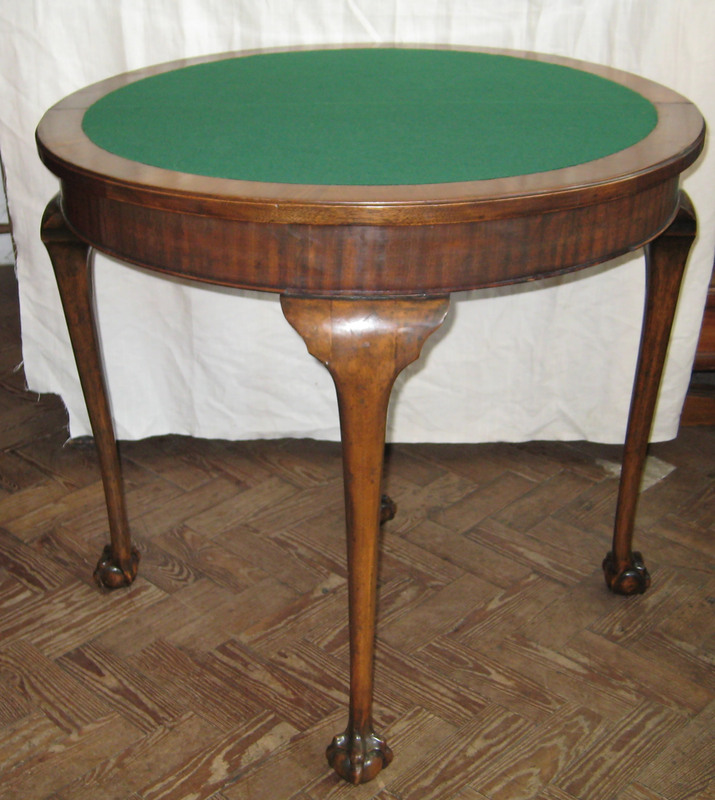 The table sits on claw and ball style legs.